Cold stimulus spray for the rapid detection of pulp vitality. 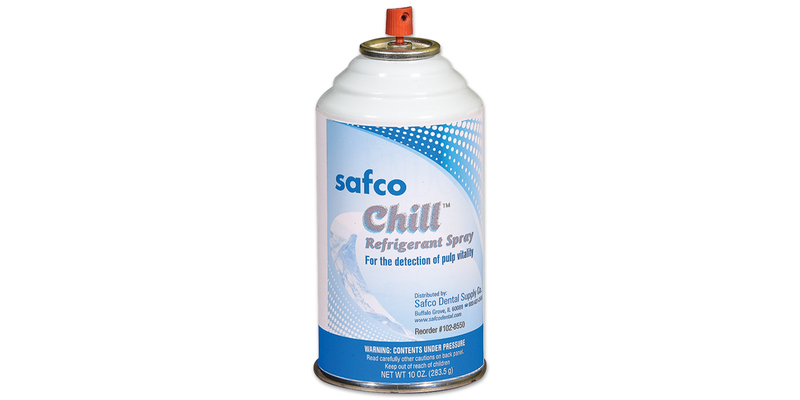 Provides a low temperature of -26.2°C. No refrigeration necessary. Wintergreen scent. Spray onto a cotton pellet and then place onto the tooth. Clear 4" dispensing straw included.